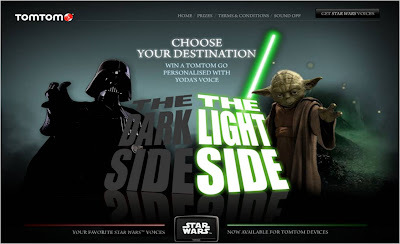 TomTom / Darth Vader - Star Wars voices for your SatNav! TomTom have released Star Wars voices for their SatNav systems. Instead of being directed to your Destination by a faceless male / female voice, TomTom users are now able to download Star Wars character voices for their GPS navigation systems!